Why J. Robert Oppenheimer Deserves a Monument or Memorial In Washington D.C.
Oppenheimer became credited with being a founding father of the American school of theoretical physics. He did important research in astrophysics, nuclear physics, spectroscopy and quantum field theory. He made important contributions to the theory of cosmic ray showers, and did work that eventually led toward descriptions of quantum tunneling. In the 1930s, he was the first to write papers suggesting the existence of what we today call black holes. When World War II began, Oppenheimer eagerly became involved in the efforts to develop an atomic bomb, which were already taking up much of the time and facilities of Lawrence's Radiation Laboratory at Berkeley. He was invited to take over work on neutron calculations, and in June 1942 General Leslie Groves appointed Oppenheimer as the scientific director of the Manhattan Project. J. Robert Opennheimer is often refered to as the "Father of the atomic bomb", but the atomic bomb isn't the only thing that he and his team created, or invented. Everything that is used for atomic power and/or the atomic bomb wasn't just laying around, they had to think up, and build, machines to be able to do what they needed to. J. Robert Oppenheimer saved a lot of time, resources, and lives by allowing America to use atomic bombs to end WWII with Japan. J. Robert Oppenheimer deserves a monument and/or a memorial to celebrate the genius's inventions and acheivements. According to Atomic Heritage, Atomic Archive, and Interviews from Atomic Heritage, "When World War II began, Oppenheimer eagerly became involved in the efforts to develop an atomic bomb, which were already taking up much of the time and facilities of Lawrence's Radiation Laboratory at Berkeley. He was invited to take over work on neutron calculations, and in June 1942 General Leslie Groves appointed Oppenheimer as the scientific director of the Manhattan Project." And, as director of the Manhattan Project, headed technological advancements, and day-to-day activities. A lot of people will say that Albert Einstein was just as important in the development of nuclear technology as J. Robert Oppenheimer, and they'd most likely be right, but the problem is, Albert Einstein has a monument for the things he did in his life, but J. Robert Oppenheimer does not. Albert Einstein also only came up with a theory of atoms and the power that something really small could have, while J. Robert Oppenheimer invented almost everything that lead him to his advancements. He even talked in his interview that all the stuff that they used for research and development was not available, and that they had to invent it. J. Robert Oppenheimer deserves a monument and/or a memorial to celebrate the genius's inventions and achievements. J. Robert Oppenheimer was not the only person responsible for the development of nuclear power, but he was the director of the manhattan project, and and such, directed nuclear development, not only in the becoming of the atomic bomb, but also developed Nuclear Fission, finding which atom was best for nuclear fission was also a heavy challenge that he overcame. This is a quote that rubs me personally. I know that I have wasted a lot of time in the past, and that I will continue to waste time in the future, but I will remember to ask myself "Is this really worth it?" Many things that people do is a waste of time, even the precious devise that you are reading this on. Anything that is being done that doesn't help the body, or brain, can be considered a waste of time. Many people will say that wasting time can't be helped, and that the future can't be changed. "The Past Is Set In Stone, The Future Is Yet Unknown. But Today Is A Gift, That's Why It's Known As The Present. It Is Your Gift. Only You Can Choose What You Will Do With It." During this assignment, I learned that it isn't s easy as commonly thought to think up a funny way to describe a word. Mostly vocabulary. I also learned that many different vocabulary words interlink, sometimes involving other vocabulary words, or including similar definitions. ﻿Was the FBI Justified in trying to get Apple to hack iPhones? Terrorism. The single word that everybody has heard of, and knows plenty of examples of. Terrorism is a big threat in today’s society, but is finding elusive terrorists worth hacking into every person’s phone? Apple doesn’t think so. Apple was right to refuse to help the FBI in their search for a hacking software to hack into iPhones. ​Hacking into phones for national security reasons is perfectly acceptable to the public, but Apple didn’t aid the FBI in their quest to find an Apple hacking software for corporate security reasons. According to Randall G. Holcombe, “Apple phones have features that protect the privacy of information people have on them. The Fourth Amendment guarantees people this right to privacy. Individuals have the right to possess information without having to share it with the government. And Apple has the right to provide products that help individuals protect this right.”, thus threatening rights, and security had Apple given in to the FBI. If Apple would’ve given in to the FBI’s requests for a hacking software, it would’ve caused a breach in security, and a violation of the peoples’ rights. Many people that say that hacking into phones would help extinguish the terrorist threat, that hacking into ordinary people’s phones is the only way to keep the terrorists at bay. According to Whitt Flora, “U.S. intelligence experts have warned for years that there may be several thousand Islamic terrorists embedded in America awaiting similar orders.”, and hacking into iPhones, will help prevent these future acts of terrorism. Although this is very likely to be true, in today’s society, it would be very hard to track down these terrorists. First off, the FBI would have to look on everyone’s phone, although once the word gets out, It’s going to get much harder to track them down. No matter what happens, most things can be traced back to money, even another reason that Apple didn’t give the FBI an Apple hacking software. If Apple would’ve given into the FBI’s demands, the value of their products would’ve plummeted. Randall G. Holcombe’s article on this issue states that “Apple was refusing to unlock the phone for business reasons, to protect the value of its brand”, in which the brand value would decrease. He also gives a question, “Should the government be in a position to force companies to engage in activities that erode the value of their brand?”. He obviously thinks that this would be unjust. During World War Two, the government could force companies to help in the war, this was stopped after the war, but the FBI is trying to do the same thing now, in normal times. Apple was right to refuse to help the FBI in their search for a hacking software to hack into iPhones.The FBI was trying to force Apple to give up an Apple hacking software, surpassing legal, constitutional rights, all the while breaching the security of Apple customers, and decreasing the value of their brand. Everyone who has heard of track, has heard of High Jump, and wanted to try it out. It looks cool and easy, but there’s more to it than just running and jumping above a bar, onto a mat. The jump technique that is used is called the fosbury flop, but there are two other techniques used before this. The oldest technique used was the “a scissors” technique, this is back when they didn’t have mats to land on, and so they just jumped over the bar, putting one leg, then the other, over the bar when they jumped. The other technique used is “the straddle”, the straddle is where the athlete would run at a straight line, at a sharp angle, and jump, rolling above the bar to get over it. Josh Lodge, A professional high jumper. He talks about how to jump, but also the history of high jump. (past techniques)Including a mat in high jump drastically changed the way people jumped for the better. An easy to follow 7 steps can inform a new athlete on how to high jump correctly, although no one can inform an athlete better than the athlete’s coach. According to "How to High Jump In 7 Steps.” Improve Your Athletic Performance, the first thing that needs to be done to properly compete at high jump, is find the correct take off leg to jump off of. The easiest way to do this is have someone push the athlete from behind, and the leg they step out to balance themself with is the correct leg. The second thing that needs to be done is counting steps, start at where the athlete will jump, and take a 5-8 step stride. Make sure that the run is in a “J” shaped curve. Where the last step is taken is where the athlete will start. Repeat this several times to get the correct place, marking the position of every last step. 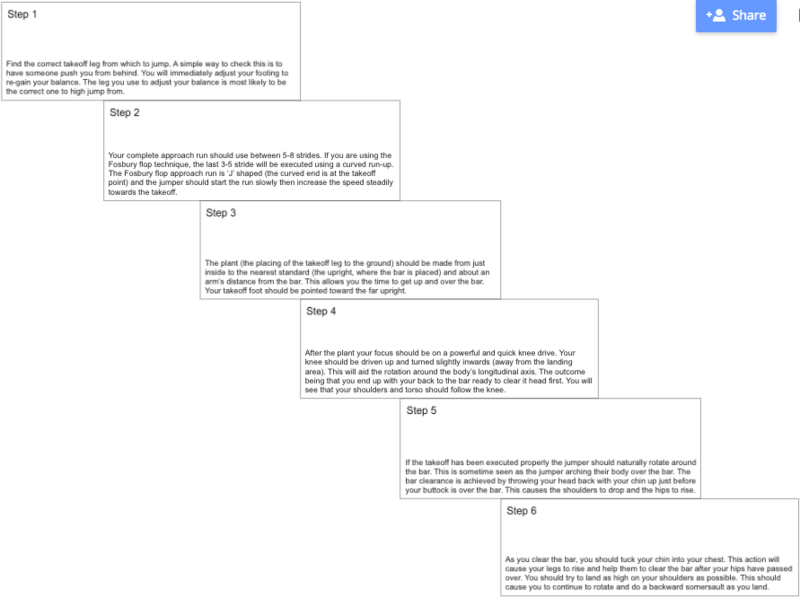 The 4 steps that are left are located at Athletic performance.com. Following seven easy steps will help one achieve high jump success. Every step included is written from Track and Field Coach Aston Moore, and the video is from olympic high jumper Jamie Nieto. Jumping in general can be rewarding with health benefits, including results similar to that of deep breathing, or yoga. According to Pointers view point word press, “Jumping or rebounding can help you reap a lot of health benefits, It is so easy and a great way to keep yourself fit.” Jumping helps improve the entire body, physically and mentally, in an astonishing number of ways, such as reducing body fat, stimulating metabolism, relieving pain, preventing arthritis, and more. Everyone who has heard of track, has heard of High jump, and wanted to try it out. High Jump has come a long way from its beginning, from sawdust to mats, and through several different techniques. High jump is easy to learn, but hard to master, with seven simple steps to learning, but hours of practice for skill. Besides being fun, high jump also helps out the entire body, from increased brain activity and reduced stress, to increased heart health and immune system strength. 8.​ A. conventional - based on or in accordance with what is generally done or believed. B. Albert Einstein wasn't a conventional mathematician. C. Although Napoleon Bonaparte is conventionally thought as short, he was the average height for people of his age at that time. 7.​ A. mediate - intervene between people in a dispute in order to bring about an agreement or reconciliation. ​C. Diplomacy can act as a mediate between countries for the better of the world. B. President Washington knew that what he did in office could ensue the rise or fall of America. C. ​Almost every country in the world wants to avoid a WWIII, because of the danger that would ensue to the human race. 5. A. Appease (verb) - pacify or placate (someone) by acceding to their demands. B. If you love your job, you try to appease the people you work for, no matter what. C. Good governments try to Appease the people in which they rule in order to stay in power. 4. A. Reciprocal (Adj. )- (of an agreement or obligation) bearing on or binding each of two parties equally. B. A Reciprocal is an agreement that binds both parties equally. C. The United States created a Republic, where the power is mutual between the people and the government, as the people elect other people to rule them. The people vote for laws and among others. 3. A. Tedious (Adj. )- too long, slow, or dull: tiresome or monotonous. B. Many people refer to a constant noise, usually ticking or clacking, as monotonous, or Tedious. C. Mr. Bedingfield's vocabulary is Tedious, but has it's benefits. B. If you are indecisive, you constantly Waver. C. Mr. Bedingfield doesn't like people who are undecided, he says that you need to know which side of the fence you are on. 1. A. Adversity (Noun)- difficulties; misfortune. B. Everyone has to overcome adversity in some point of their lives. C. The United States is fortunate to only have slight disease and money Adversity, instead of many of the problems the world now faces. Can Fame Make You Happy? Have you ever watched a tv show like "Keeping up with the Kardashians" or watched a movie with your favorite actor and wonder what it would be like to be them? Well, being a celebrity is not as easy as it would seem. Take that movie for instance, do you know how often they repeated even the shortest line during a scene, or even the scene itself? Pressure and stress is always present when stars are involved. According to Scope’s Can Fame Make You Happy? article "Lawrence said that simply stepping outside her front door gives her anxiety." and "Beyoncé has said that though she likes attention when she’s onstage, she’d be happier if she could “cut it off” when she isn’t performing and just enjoy her life.". ​Despite their fame and fortune, many celebrities may not be as happy as they seem. According to recent studies, from the University of Rochester true happiness derives from having close relationships, time to focus on personal growth, and connections to your community. The celebrity lifestyle can make these things extremely difficult. According to Scholastic scope, Stars have trouble making and keeping friends because "Stars have to wonder if their ‘friends’ like them for who they are or for what they have.". Some people may say that "not all celebrities are crumbling under the pressure..." but the point is that some are, and it's not easy to deal with all the pressure and drama that are forever current with the celebrity lifestyle. "Indeed, famous people can’t so much as walk their dogs or tie their shoes without being gawked at, photographed, tweeted about, or Instagrammed. ", says scholastic scope, you will be criticized and judged for EVERYTHING that you do. People who have become famous and fortunate, and kept their fame and fortune, have cut people out of their lives, including friends and family to help better their career and so that they wouldn’t get in trouble because their “friend” used their money and popularity to get themselves out of trouble. Just because the top rising stars aren’t crumbling under the pressure doesn’t mean that you won’t in some way. Being a celebrity can be exhausting for many different reasons, some being the ever-present media, spreading rumors, and everything that happens in your life being blown up exponentially, no matter what it is. A lot of people think that fame and fortune comes easy, and don't realize that there is a lot of stress and pressure that celebrities have to deal with. Some people think that it's all fun and games being a celebrity. Some people think that being famous or being rich automatically brings happiness, after all, most celebrities don’t just break down. Most stars refrain from breaking down in public for numerous reasons, but mostly because of their reputation, and the ever looking, and criticizing eye of the media. A lot of people may think that being a celebrity is easy, but It’s far from easy. Celebrities lead very stressful lives, in which they can’t do anything, including sneeze, without the media blowing it up and creating rumors about it. The media will create rumors without anything to go on. Everyone thinks that fame and fortune comes easy, and that there's nothing to being a celebrity, but they couldn’t be more wrong. Stress is always a big issue for almost every reason possible. Many people are famous, but for different reasons. Such as Albert Einstein and his founding of the atom, or Bear Grylls, who made himself known by teaching wilderness survival tips and, what he is now commonly know for, drinking his own urine. ​Despite their fame and fortune, many celebrities may not be as happy as they seem. According to recent studies, from the University of Rochester true happiness derives from having close relationships, time to focus on personal growth, and connections to your community. The celebrity lifestyle can make those things extremely difficult. Because of the media, many celebrities experience a ton of pressure and stress, and many different sources, such as reality shows, the celebrities themselves, and just simply being at a loss of knowledge, we really don’t get the inside story of how they really, personally feel. True friends, family, and happiness are all fortunes that money can’t buy. Jennifer Lawrence Has Almost always had anxiety issues, starting when she achieved her celebrity status. Although my Winter Break was very uneventful, there are a couple things that my family does every year. Every year around December 20th, my mom's side of the family gets together for dinner and a white elephant at my great aunt and great uncle's house. During this get-together, I get to see members of my family that I hardly ever see. Around December 23rd, my mom's direct family (Her Sisters/Brothers/Mom/Dad) comes over to our house for a brunch and a gift exchange. Earlier this day my brothers and I go down into our basement, where candy and a present await us in our stockings. This year, I got a skee Ball table from my Grandpa. Another yearly Christmas I have is with my Dad's side of the family. This is at my grandparent's house, and they try to move the date around the rest of the family's schedules. Everyone has to bring a dish, and once most people show up, everyone eats. After everyone is done eating, we wait at least a half an hour before opening presents. I got a South Central Trojans duffle bag from my Grandma and Grandpa during this Christmas party. I may only be 14 years old, but I know what I want to be as an adult. I enjoy looking at statistics and thinking about new ways to help edit or eliminate new diseases that are troubling our society because I have personally witnessed how diseases affect people. I love to go in depth with projects and try to find out every little detail I can about it, whatever it is. Currently I’m getting A’s and B’s which accounts for my average GPA of 3.66 in eighth grade. I will hopefully increase my study habits in high school because I will want to attend high end schools due to my line of work. When I am an adult, I want to be a Molecular Genetic Engineer (Microorganisms or GMMOs). Goals need to be in place before you can meet them, creating a goal will help you in life. To reach my goals, I will need to set goals for many things, such as I will want to have mostly A’s and nothing lower than a B if I want to go to a high end college that teaches Genetics in general. According to google “A genetic engineer starts by earning a bachelor's degree, typically in a branch of the physical sciences, such as biology or chemistry. Some schools offer undergraduate programs in genetic engineering or in closely-related fields such as biological engineering.” but I may need a Masters, Ph.D, or Doctoral degree according to study.com. I will admit that I am not trying my very hardest and tend to take shortcuts from time to time, but I am slowly changing that over time and hopefully completely stop taking shortcuts and start trying harder within my Freshman year of High school. I need to set specific goals for attending school and find out what it takes, and I need to set goals for study habits to overcome my weakest points. The minimal degree for this field is a bachelor’s degree. In able to become a great Molecular Genetic Engineer I need to have a good all round education, the ability to work with others, and a sharp intellect with imagination for the betterment of research, technology, and mankind. According to sciencegroup.org.uk, the following credentials and educational are needed, including more. 1) A good all round education. 2) An ability to get on with others in a team. 4) An ability to love your subject of study/research and show individual initiative. 5) A lively and creative imagination; a flair for problem-solving. Newsela also has an article in Genetics, claiming that “To thrive as a scientist, he says, you need many traits. You must be detail-oriented, open-minded, patient, have an investigative nature.”, “he” being Joe Rainger. In order to be prepared for my long journey as a Genetic Engineer I must become very studious and strict when it comes to studying, have a very large imagination, and have to have the ability to not only work well with others, but get along with them as well. Genetic Engineering is used far and wide for many different things. According to genome.gov “Most genetic engineers are employed by private corporations, particularly pharmaceutical companies. They also may teach in universities and/or conduct research. The federal government also employs many genetic engineers.” genome.gov also states that “Jobs for genetic engineers are expected to be numerous. Advances in biotechnology and medicine are driving a greater demand for individuals in this specialty.” meaning that the job outlook is above average. Most jobs have a retirement plan, including this one. There is an opportunity to move up considering that the salary range is $44,320 - $139,440 annually according to genome.gov. ​Using career day and the research in this project, I conclude that growing up will not be easy, no matter what you have planned. The area you plan to live will have it’s consequences, such as if you live in an expensive area, you will most likely have a higher paying job. Demand will always be a big deal, because job demand will always be changing. Simple everyday things cost the most money, such as a house, a car, food, clothes, taxes, and insurance. ​C. Many advanced countries don't have the ability to feel Empathy towards those that are not as advanced as they. B. To have Apathy is to simply not care. ​C. Most people have great Apathy towards the concept of losing fresh drinking water. B. A Connotation is the literal, or dictionarial definition of the word. ​C. "You are a dog" means that you are a literal dog. ​C. "You are a dog" means you are a scoundrel, or other, not a literal dog. 20. A. Plate - Plate tectonics is the theory that Earth's outer shell is divided into several plates that glide over the mantle, the rocky inner layer above the core. B. Plate Tectonics is the theory that Earth's crust is made up of numerous plates. ​C. 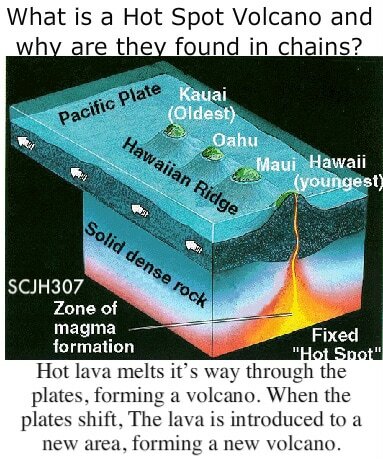 Plates move and interact because of magma moving round in the mantle under Earth's surface. 19.​ A. Ring of Fire - The Ring of Fire is a major area in the basin of the Pacific Ocean where a large number of earthquakes and volcanic eruptions occur. ​C. 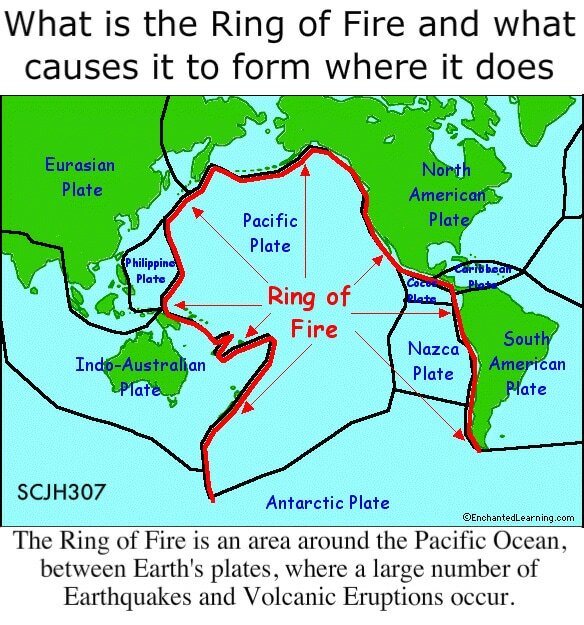 The Ring of Fire is a ring of volcanic activity caused by the Pacific Plate interacting with numerous other plates. 18.​ A. Pangea - Pangaea is a hypothetical supercontinent that included all current land masses, believed to have been in existence before the continents broke apart during the Triassic and Jurassic Periods. B. Pangea is a hypothetical super continent where all of the current land masses were formed together. C. Pangea is a supercontinent that most scientists believe was real, Pangea meaning "Whole Earth" is a very fitting name. 17.​ A. Fault - In geology, a fault is a planar fracture or discontinuity in a volume of rock, across which there has been significant displacement as a result of rock mass movement. B. Fault is a word used for many different meanings, but the meaning above is the faults in earths tectonic plates. 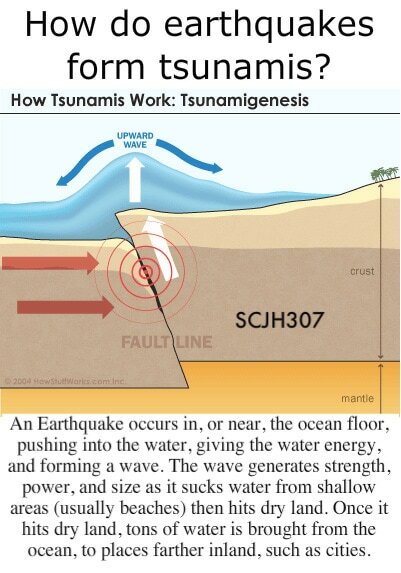 C. Earth's crust is constantly being moved around, where different plates interact is called a fault line. 16.​ A. Isostatic rebound - Post-glacial rebound (sometimes called continental rebound) is the rise of land masses that were depressed by the huge weight of ice sheets during the last glacial period, through a process known as isostatic depression. B. Isostatic Rebound is where Glaciers push the ground down and the ground starts to slowly rise. C. Isostatic rebounding is present in Ohio, as Glaciers have pushed the land down and over time the land has begun to push back up. 15. A. Heritage - property that is or may be inherited; an inheritance. B. Most anything that a parent owns will be inherited by their children, but must first be written in the parents' will. ​C. Heritage is a 'birth right' in which the children of a family receives what the parents owned, and can only be considered inherited if given by the death of the parent. 14. A. Garnish - decorate or embellish (something, especially food). B. The yearly family reunion was highly decorated, including the food. 13. A. Fiasco - a thing that is a complete failure, especially in a ludicrous or humiliating way. B. The High School Prom Night was a complete fiasco. ​C. A Fiasco is a failure so large that it is often humiliating. 12. A. Exasperate - irritate intensely; infuriate. B. The man was exasperated when his lawn mower broke down only half way done with the yard. ​C. To exasperate is to be irritable or angry. B. In any essay, the citation of evidence is always embodied in the meat of the individual paragraphs. ​C. To Embody is to have something, usually a constant thing. B. The Multiplicative Property of -1 says that any number multiplied with -1, the number becomes a negative number or it's value is the opposite of the original number. B. a Null set means that there is no possible solution for an equation. B. Identity in math means that a no matter what the variable is, any value will work. B. In math class, John was having trouble figuring out where the coefficient was. C. In math, a coefficient is the number in front of a variable in an algebraic expression. 5. A. Naive (adj. )- showing a lack of experience, wisdom, or judgment. B. The hunter was Naive to the idea of killing deer for food. C. A baby could be considered Naive as the baby is new to the world. 4. A. Niche (Noun)- place or position (something) in a niche. B. The man felt like he was being called to New York, although he lived his entire life in the country. ​C. A calling or a place where you feel you need to be. 3. A. Obliterate (Verb)- destroy utterly; wipe out. B. To Obliterate something, there has to be nothing that can be found out about the thing that is obliterated. C. Obliterate is not only a word used for mass nuking, it can be used for many more things, such as a substitute for Terminated. 2. A. Gratify (Verb)- give (someone) pleasure or satisfaction. B. Gratification is happiness, pleasure, or satisfaction. ​C. Accomplishments almost always give the accomplished happyness. 1. A. Infinite (Adj. )- limitless or endless in space, extent, or size; impossible to measure or calculate. B. Infinite possibilities is a possibility in math and science. C. Our Universe is several billion light years across, and space may be never ending. 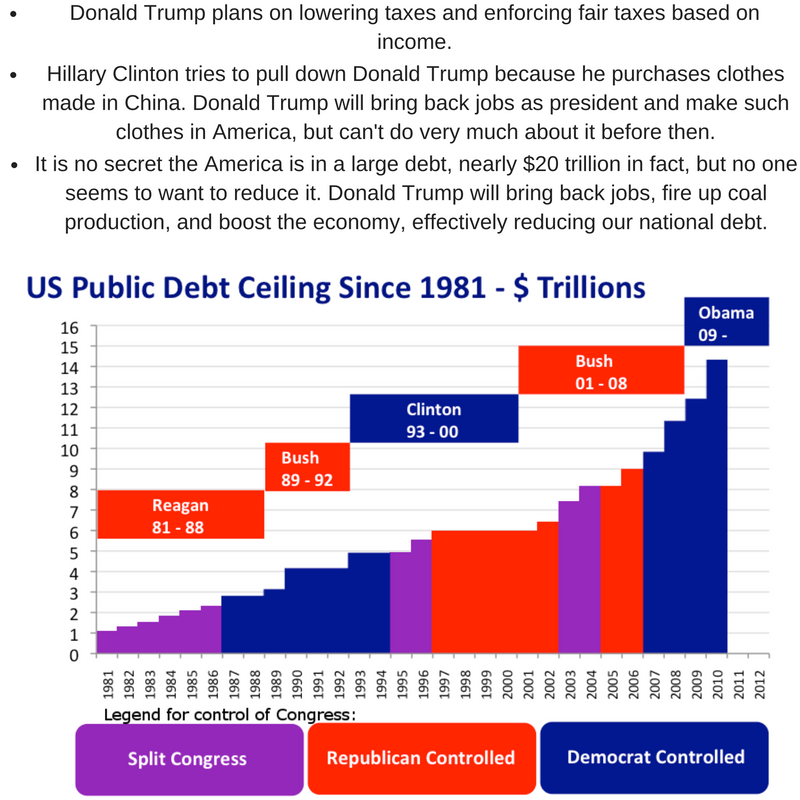 Donald Trump plans to bring jobs back to America, lower and enforce fair taxes for all American citizens, and help eliminate our national debt. 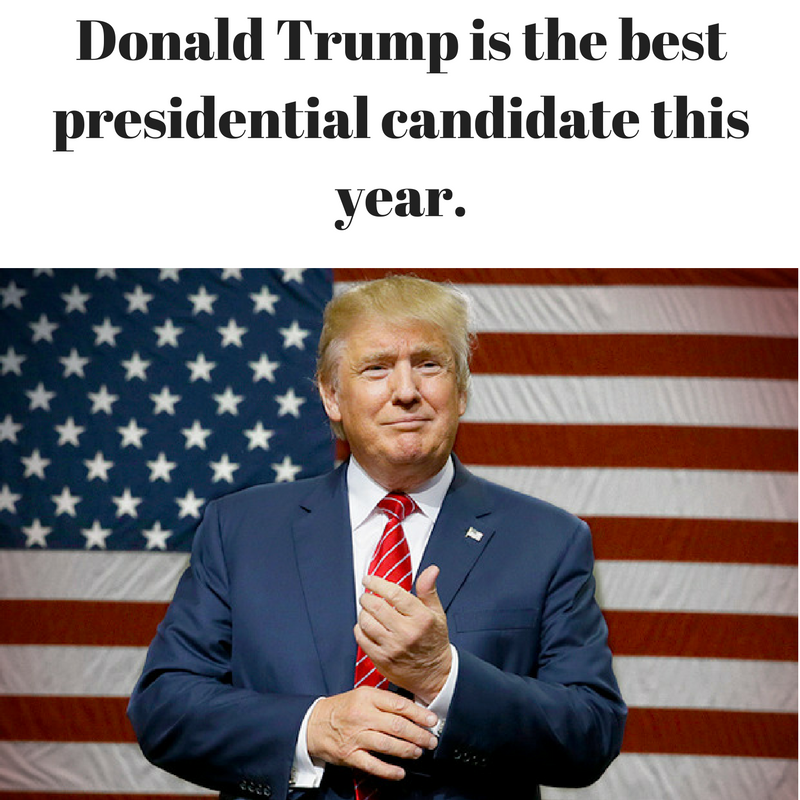 America should vote for Donald Trump because he has had the most experience in dealing with money, jobs, and taxes. ​Donald Trump plans on lowering taxes. According to ontheissues.org Donald Trump says that he would “cut taxes $10 trillion, and the economy would take off like a rocket ship” while Hillary Clinton says that it is “her goal not to raise taxes on families making under $200,000.” Cutting $10 trillion and trying not to tax those who are making under $200,000 are two entirely different things. Donald Trump on tax reform Hillary Clinton on tax reform. Donald Trump should be president because he plans on fair taxes for everyone based on income while Hillary Clinton is going to try not to tax those making under $200,000 as well as raise taxes in general. Arguably Hillary Clinton’s strongest point is that Trump is all about bringing jobs back to America but “Trump made his shirts in Bangladesh, his ties in China and his suits in Mexico” cited from thehill.com. This point is invalid because while Trump is always talking about bringing jobs back to America, but he can’t do it before he is President. Before Donald Trump ran for President, he was entirely a businessman, and as a businessman he used the government because they allowed him to ship his companies away to become a better businessman and make a better profit. Donald Trump should be president because he plans on fair taxes for everyone based on income while Hillary Clinton is going to try not to tax those making under $200,000. I oppose the penny-per-ounce grocery tax, as is may make other grocery prices go up, and some small businesses could collapse. Taxing distributors will not stop people from buying sugary drinks. Every issue has pros and cons, but in this issue, the bad might outweigh the good. "A "grocery tax" will lead to higher prices on other goods, hurting small businesses and customers struggling to survive in one of the country's most expensive places. They also warn that city leaders can use the money however they want, despite talk of putting it toward health programs." "The tax is on distributors and is not paid by customers who buy the drinks". Not all is bad about the soda tax, such as: "The national fight over sugary soda is bubbling up in the San Francisco Bay Area, where voters in November will consider a tax on the drinks that many health experts say contribute to diabetes, obesity and tooth decay." All quotations cited directly from Newsela's "U.S. soda-tax battle bubbles up in San Francisco Bay Area". Everything slightly arguable will have good and bad, whether or not it is approved or disapproved will be decided with the numbers of people sharing a point of view. "This is San Francisco's second try at a soda tax. In 2014, a similar proposal failed to get enough votes for a "dedicated" tax, which requires a two-thirds approval. This year, backers went for a "general" tax, which requires a simple majority and doesn't stipulate how the revenue is spent." and "Opponents, however, say a "grocery tax" will lead to higher prices on other goods, hurting small businesses and customers struggling to survive in one of the country's most expensive places. They also warn that city leaders can use the money however they want, despite talk of putting it toward health programs." show that the soda tax failed last time, if it is approved groceries are going to be more expensive, and some small businesses may collapse and go bankrupts. I oppose the penny-per-ounce tax on sodas because owners of businesses might need to raise the prices of other goods in order to compensate for the tax. Another reason why is because the tax with only be enforced on distributors, not buyers, so if the distributors don't raise the price of pop, people will buy as much as before if not more. You can look through different sodas and soda sizes to show how much sugar, in grams, contained by the specific drink by googling "Sugar in soda"
​1. There’s no such thing as a sugar rush. It’s just a placebo. 2. The Great Wall of China is not the only manmade object you can see from space. 3. It’s not actually harmful to pick up baby birds and return them to their nests, and it will not cause their mother to reject them. ​4. Human blood is never blue in your body. 1. Lightning does not only strike from the sky to the ground or ground to the sky, but can also jump from cloud to cloud. ​2. There is very little evidence to show that watching TV for extended periods of time can harm your brain at all. (Middle School Goals) I don't have very many Middle School goals, and I don't expect very many opportunities, I would love to have all A's, but I suspect I will get by with all A's and B's. I also hope to get especially high grades in high school credit classes. ScreenFlow is an easy to use app that allows the user to record the user and the user's screen, and edit the video. Although ScreenFlow is easy, I will be giving a tutorial to help anyone looking to use ScreenFlow to be able to work the basic necessities of ScreenFlow. ScreenFlow is easy to use and I will be listing the basic, but important parts of my video below. The first thing in ScreenFlow that the user will need to know is how to split or cut a clip. To split a clip, click the red box with three dashes. Splitting clips can allow the user to delete, transition, and other ways edit clips down to a tenth of a second. Callouts are helpful because they point out where the user's mouse is, somewhere specific on the user's screen, or blur the location of the user's mouse or screen. Nearly every video will need text boxes, whether is be a title or just to add in something that the user didn't say in the recording. Annotation properties are helpful because they point out, box in, or circle anything, meaning that is has many different uses. Adding media will help with drawing in the attention of the viewers with music, adding pictures, or adding other recordings or other. ScreenFlow is helpful for anything that the user needs to record, the most frequent example being Youtubers. No matter what video a Youtuber is making, they need to record at least their screen, if not their faces as well. ScreenFlow will help anyone with a compatible device to record their screen and/or faces. My hero is my uncle, Aaron Back. Aaron Back was not born in riches, he build up. 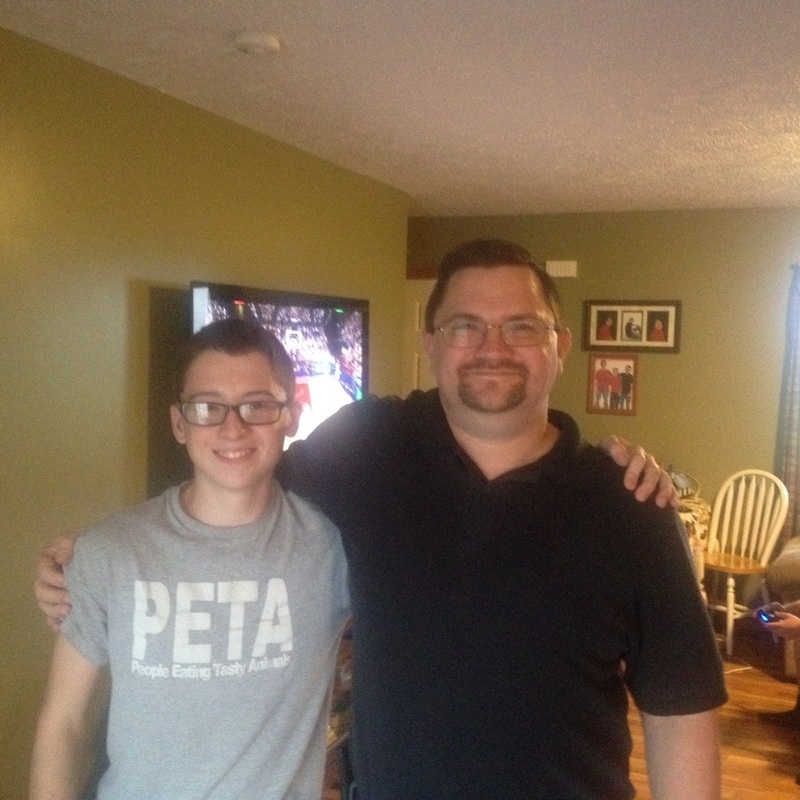 He started out as a video game nerd, and still plays, but now he works for Whirlpool. His job at Whirlpool is to fix any problems with the computers and internet connections. He is also a very biblical man and helps out churches as much as possible. Some of his characteristics are joking, energetic, determined, patient, and generally a "half glass full" type of guy. He is joking because he never passes up an opportunity to mess with his friends and family. He is always energetic and determined at his work, whether it be at whirlpool, tinkering with parts, or helping with church activities. His job of fixing computers, among other things, is a job that requires patience. 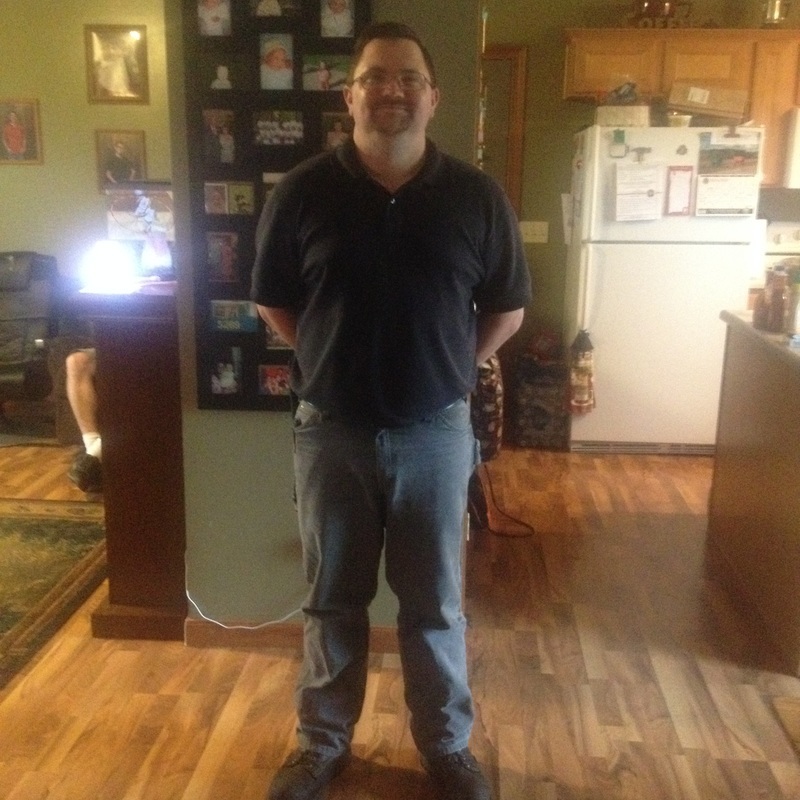 I look up to my uncle because he is smart, he works at a job he likes, he makes good money, and he has always found ways to help family and friends, whether is be helping fix or change anything or simply giving a discount on a personal computer, he tries to help everyone to the best of his ability. You could say that Gregor Mendel had patience, as he worked with pea plants to lay down the basics for modern day Genetics. I only have 4 pictures from summer break, but the pictures tell a story of 4 different places. Over the summer, I ate at Frickers, went to the Huron County Fair, went to Mona Mi, and vacationed at Rocky Fork State Park. Every year my family and I visit Rocky Fork State Park with our grandparents, and mostly fish, anywhere anytime. Mona Mi is a fancy (and expensive) restaurant that mostly features seafood like crab legs and shrimp. At the Huron County Fair, my family and I walked around and saw Emily Keene show cows, and Dakota Hiltbrunner and Elizabeth Music show chickens. Frickers is a not-so-expensive restaurant with nothing really to tell about it. B. The most well known type of illusion is an optical illusion. ​C. Brain Games is a television show that shows you just how much your brain takes in, and how easily it can be fooled or manipulated. A. Onomatopoeia - the formation of a word from a sound associated with what is named. B. Comic books are a classic example of Onomatopoeia. C. You most commonly find Onomatopoeia in sports. Basketball: Swish!, Football: Wham!, and others such as boom and dribble. A. Alliteration - the occurrence of the same letter or sound at the beginning of adjacent or closely connected words. B. In reading class, we had to find Alliteration in stories. C. Alliteration is commonly used for Tongue-Twisters. A. Irony - the expression of one's meaning by using language that normally signifies the opposite, typically for humorous or emphatic effect. B. Irony is typically used for humor and consists of saying that something that you do or are doing is something you hate or dislike. ​C. The picture to the left has three examples of irony. The first one is the vandalism that says "I hate Vandalism". A. Figurative - departing from a literal use of words; metaphorical. ​C. Figurative language is used by any good author or student. B. 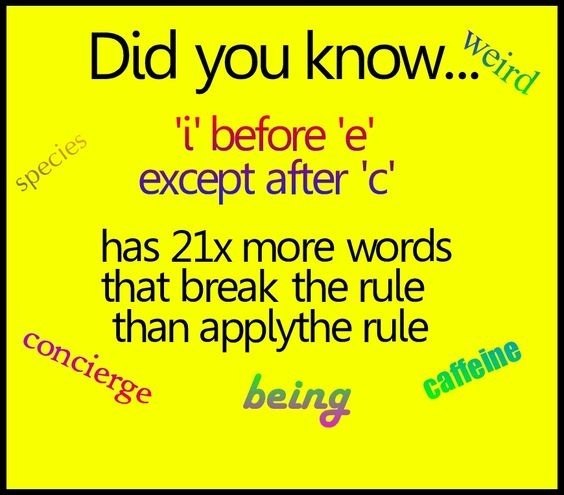 A good way to remember the difference is that 'ex-' means 'not' or 'to leave out' or 'no longer'. A. Except - not including; other than. B. 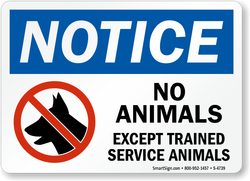 Trained service animals are the same as other animals except they are specially trained to help specific people. C. You can experience this when Trump said he had no problem releasing his tax returns, except that he would wait until Hillary released her privatized Emails. A. Affect - have an effect on; make a difference to. ​C. Magnets can affect on another from a distance. A. Principle - a fundamental truth or proposition that serves as the foundation for a system of belief or behavior or for a chain of reasoning. B. Principles are basic rules. C. Everybody has their own set of basic principles to live on, such as no loaded guns in the house, or only drive to the grocery story once a week. A. Elastic potential energy - energy stored in any object or material that is bent, stretched, or compressed. B. Elastic potential energy is the energy found in anything is that is stretched, or compressed. C. Elastic potential energy is most commonly thought of as a spring. A. Newton - the unit in the metric system used to measure force. B. We have named this unit of measurement because of Isaac Newton, who is the founder of three major laws of science, and physics. C. We use Newtons in a measuring scale as shown. A. Force Field - an area around an object where an object can influence another object with out touching it. A magnetic field is an example of this. B. Because everyone is used to sci-fi movies and impenetrable force fields, it is hard to imagine that we are always experiencing force fields, such as a magnetic, or electromagnetic field. C. We are always experiencing force fields, such as gravity, magnetism, and electrostatic charges. A. Inertia - how hard it is to get something moving, stop a moving object, or change the direction of a moving object. B. Because of Inertia, wrecks are extremely dangerous, and things with large mass are hard to move. C. ​We are always experiencing Inertia, such as when we move a desk, riding in a car or bus, even something as simple as walking or moving a pencil. A. Normal force - a equal but opposite force that pushes back when you stand, sit, or push on a surface so you do not sink through that surface. B. If you push against a wall, it as though the wall is pushing back, keeping you upright, and the same with the floor as you stand, otherwise, we would fade through everything like ghosts in a bad horror film. C. ​No matter what you do, you will always feel normal force, whether you lean against a wall, jump, or even simply stand or sit. A. hypotenuse - (noun) the longest side of a right triangle, opposite the right angle. B. The Hypotenuse is the longest side of a right triangle, across from the right angle. C. The hypotenuse is longer than the opposite or adjacent sides. A. converse - (Verb) To engage in conversation. B. To engage in in conversation is to converse. C. A conversation requires more than one person. A. irrational numbers - In mathematics, an irrational number is a real number that cannot be expressed as a ratio of integers, or fraction. B. An irrational number cannot be a fraction. C. An irrational number can be a decimal without a pattern or repetitive numbers. A. rational numbers - In mathematics, a rational number is any number that can be expressed as the quotient or fraction p/q of two integers. B. Rational numbers are any numbers between negative infinity and positive infinity, including fractions. C. Rational numbers do not include decimals without repetitiveness or a pattern. B. The square root of 2 is an irrational number. C. The square rot of 144 is 12. ​A. Collaborate - (Verb) To work together. B. Most things in your life will require you to collaborate with one or more people. C. The most common way to say Collaboration is Team Work. A. Articulate - (Adj) To speak coherently or Fluently. B. It is easy to speak a new language, but hard to be articulate at a new language. A. Evolve - (Verb) Gradually change into something more complex. B. Science lead us to believe that all humans Evolved from Apes. C. Evolution has occurred to nearly 99% of species currently living on earth. A. Meticulous - (Adj) To show great detail or precision. B. The greatest artists and architectures were and are meticulous. C. A Meticulous person pays great attention to detail... obsessive-compulsive disorder is a disorder the make the person have to do something perfect or have something a certain way. B. If you are very agile, you are good at sports. C. To become Agile, you need to try hard and push yourself over the limit. A. Argument - A reason or set of reasons given with the aim of persuading others that an action or idea is right or wrong. B. There are a lot of different words for a persuasive conversation and the most used word is an Argument, although Arguments are usually a heated conversation. C. Arguments don't necessarily need to have a right or wrong side as an argument is simply two points or views. A. Cite - quote (a passage, book, or author) as evidence for or justification of an argument or statement, especially in a scholarly work. B. Another word for Cite is textual evidence, and what it is is 'giving credit where credit is due' or saying that you didn't come up with it, but instead found it from an article or person or etc. C. Copying something off of the internet without citing it is a crime called copyright. A. Passive voice - The noun or noun phrase that would be the object of an active sentence appears as the subject of a sentence with passive voice. C.A Passive voice involves stating the subject then action, while an Active Voice states an action then subject. ​A. Personification - The attribution of a personal nature or human characteristics to something nonhuman, or the representation of an abstract quality in human form. B. "The squirrel ran as fast as he could to gather nuts, because winter was coming." This is Personification because human like qualities are given to a non-human object. C. William Shakespeare filled his poems with personification among other things. ​A. Point Of View - A particular attitude or way of considering a matter. B. The Presidential election is entirely run on a Point Of View, that is why there is multiply parties, and why there are split decisions in voting and not entirely one person or party. C. There is no right or wrong Point Of View, as it is just how you think or see.